As we look forward to the blessings of New Ecclesiastical Year, I greet you with joy and love in the name of our Lord and Savior Jesus Christ, with prayers and good wishes for a healthy and joyous year. As I was traveling this summer, both in our Metropolis and Greece, I heard some talk from our brothers and sisters that we should question the way that we receive the Body and Blood of our Lord and Savior Jesus Christ, due to concerns about the H1N1 virus. They were concerned that this would transmit the virus to the Faithful and of course they have a point. If we were receiving only bread and wine there would be some, though not a lot, of cause for concern. Aside from the scientific facts showing that there is no difference in rates of illness between people who receive Holy Communion and the general population, aside from the fact that there have always been infectious and communicable disease, aside from the fact that more people die in car wrecks every year than from any flu, in order to receive we must have faith. Indeed as human beings we are weak in faith. In order to receive, we must have faith, but unfortunately sometimes our brothers and sisters with little faith put up obstacles to freely approaching the chalice. Indeed when we are receiving the Body and Blood of our Lord, there is no fear, because “There is no fear in love; but perfect love casts out fear, because fear involves torment. But he who fears has not been made perfect in love.” (1 John 4:18). On the other hand, when we are afraid of anything: disease, accidents, misfortune, who do we ask for help? Our Lord and Savior Jesus Christ. Our Lord is here to bless us and help us, not to make us sick. With this kind of understanding, we can give the answer to ourselves. When we think about receiving the Body and Blood, we realize that there have been many diseases over the past 2000 years, most of them more serious and deadly than the H1N1 virus. However I believe that we should explain to the Faithful what there are receiving and why. After all, we clergy consume all the elements left after Holy Communion is offered, and according to my knowledge, I have never heard of a priest, deacon or bishop falling ill afterwards. As a matter of fact, I had the personal experience, when I was younger and an Archdeacon in Patras, and almost every Saturday after the Divine Liturgy, we visited the nearby TB hospital to offer Holy Communion to those who were too ill to come to church. These poor people, before modern treatments and antibiotics, were extremely infectious. Yet neither I nor my spiritual father, Father Artemios or Father Christopher developed tuberculosis after consuming the Holy Gifts. Not only that, we never even got sick. This happened not merely once or twice but repeatedly over the years. Father Christopher is still living (now in his 70’s) and so am I. Father Artemios died years ago of heart disease, not TB. This is the situation, my brothers, which we must face and be honest with those who are weak in faith, so we can reassure them and help them to be strengthened in their faith. 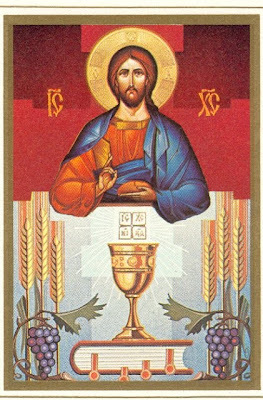 The only reason to approach the chalice in fear, is fear of God, if we receive unworthily. Truly I give glory to God that we have His Church, where we can pray for one another, pray for all people who are suffering from cancer or other diseases or misfortunes.